Monero means “Coin” in Esperanto. It’s a constructed language that is easy to learn, for example on duolingo.com. 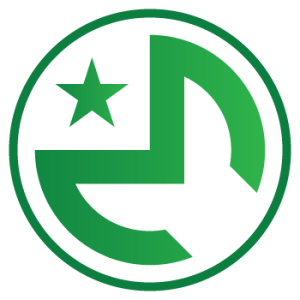 I think the Esperanto community and the Monero community have a lot in common. Esperanto wants voluntarily adoption of a new (constructed) language, to make communication between people more egalitarian. No one has an advantage, everybody needs to make the effort to learn Esperanto. The Esperanto community is very friendly and welcoming for new people, doesn’t want to “force you into” something, and very diverse. I see the same things in the Monero community. Esperantists are pacifists. They see wars as a product of nation states. I think a lot of people in the Monero community are libertarians and think the same about the relation between money and nation states. We sometimes feel threatened by them: will they try to regulate Bitcoin due to the fact that it has fungibility flaws? Luckily we have a peaceful and voluntarily tool to resist: our favorite cryptocurrency, Monero! La cryptomonon “Monero” ne estas kopio de Bitmono, ĝi estas tuta malsama kodo. Eble vi ne scias tion, sed Bitmono estas spurebla de ĉiuj (inkluzive registaroj, ŝtelistoj kaj korporacioj). Ĉiuj ŝajnas uzi la regantan cryptomonon (Bitmono), sed ni uzas la malgrandan privatan cryptomonon (Monero). Kiel Monero estas alternativo por Bitmono, tiel Esperanto estas alternativo por la Anglan. Multaj homoj pensas Bitmono anonimas. Ĉu veras? Ĉu sufiĉas ke neniu en la reto scias kiu estas la mia bitmona adreso? Ne, kiam vi interagas kun interŝanĝoj aû pagaj provizantoj, ili povas ligi viajn dosierojn kun via bitmona adreso. Se mi scias vian konton, via konto ankaŭ ne plu estus anonima, ĉu ne? Ĝi veras, sed tiu nur veras por Bitmono. Monero protektas kontraû tion kun novaj konceptoj: “ringsubskriboj” kaj “sekretadresoj”. Monero kaj Esperanto komenciĝis malgrande. Sed ili povas kreski!